Have you ever got a hankering for the taste of instant noodles but wasn’t really going for the soup (and I don’t mean the yakisoba or pancit canton, the regular chicken and beef mami!)? I always do. Even the smell of the preserved noodles and MSG laden seasonings is enough for me to go into the kitchen and make some. 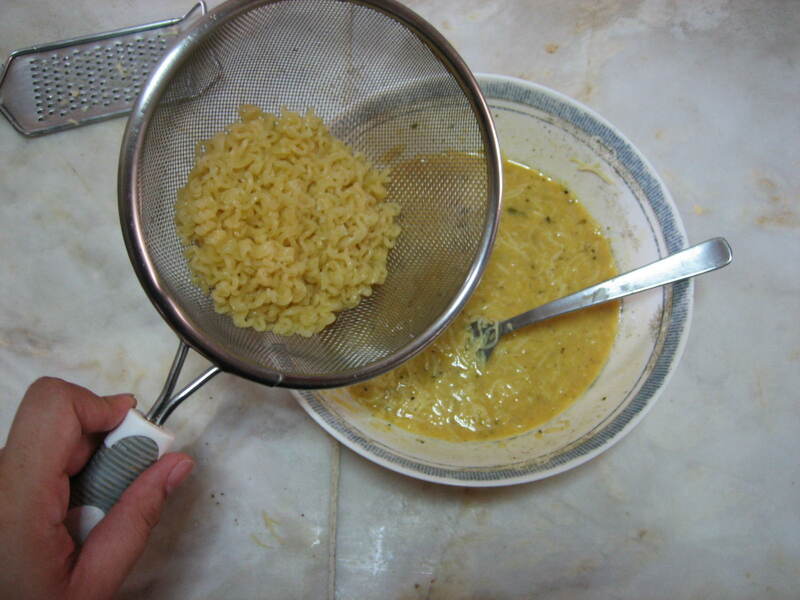 And there’s one recipe that combines the idea of soupless instant noodles. I got this brilliant idea from watching TV when I was a wee maybe 6 or 7 years old (I seriously started watching the Daza cooking show when I was that young and always wondered why they used wooden utensils – to keep the noise down while demonstrating). So when the noodle ad came up, I got seriously excited because it’s one of my favorite things in the world and they were cooking it differently! They seriously called the recipe payless omelette. 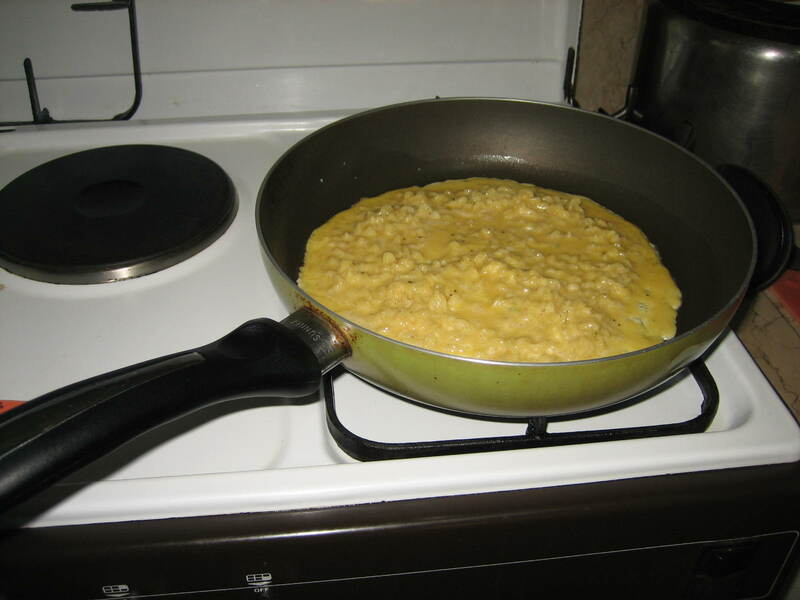 As I am friends with some of the people not from there, I’m calling it from this point forward as Noodle Omelette. 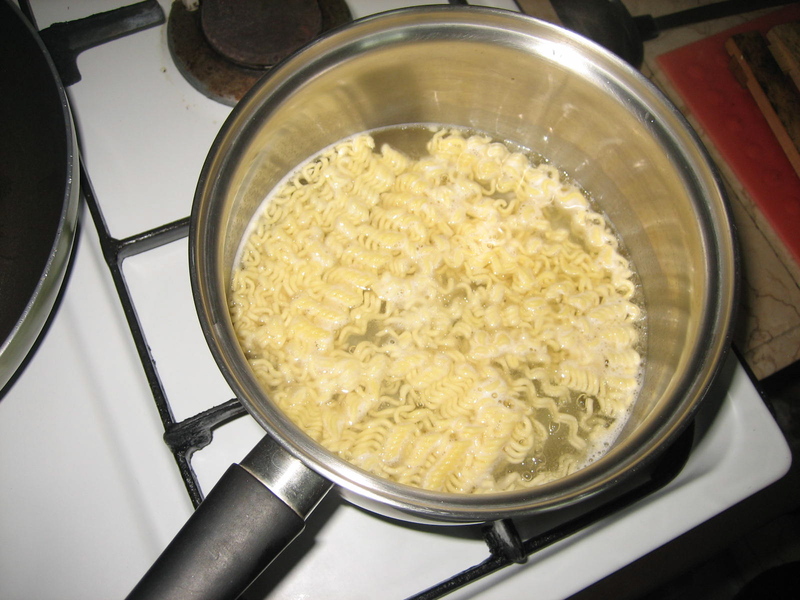 Boil some water and cook the noodles as you would pancit canton, without any of the seasonings. Strain and set aside. Mix some eggs, the seasoning, pepper, cheese, etc. Whatever you want or have in your fridge. Some scallions, some chili would be great too. I added some sour cream in mine just because I only used one egg and a yolk (leftover). Cook the noodles, without the seasonings following package directions. Strain once cooked and set aside. In one bowl, beat the eggs along with the noodle seasoning and cheese. Add whatever your heart desires. I go regularly for black pepper. 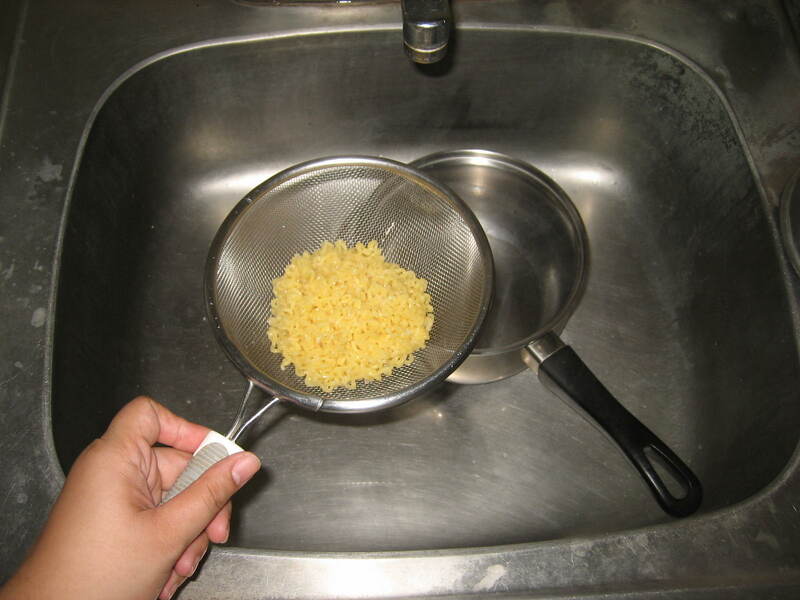 Mix in the noodles into the mix, and prepare then pan for some frying. Heat to medium and add the mixture. 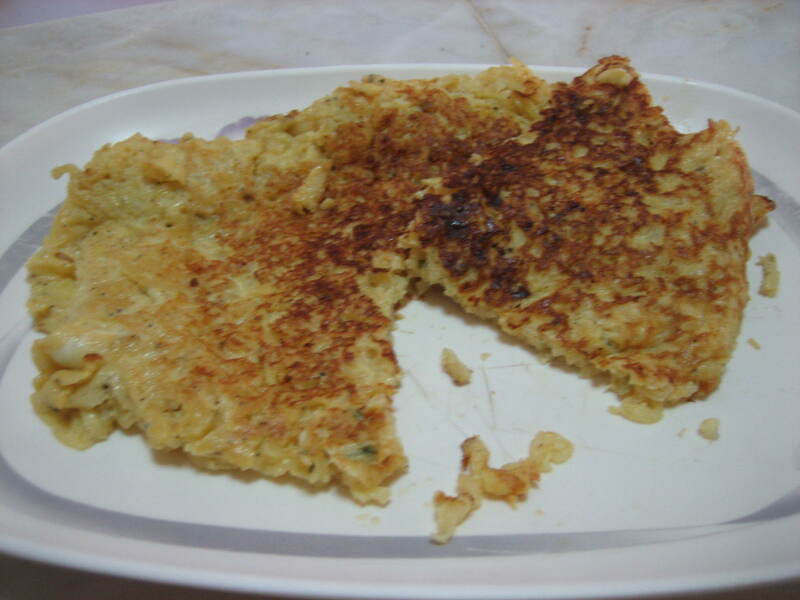 Spread it out as evenly as possible and let it get cooked through, almost like a pancake. Take care when flipping, but you should be able to flip it. Brown on other side and serve.